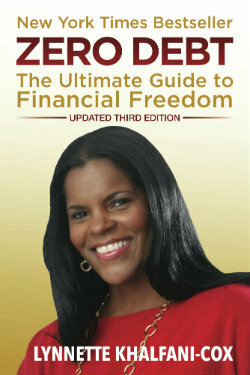 The topic of student loan cancellation is covered in my book, Zero Debt for College Grads. The following is a short excerpt. I’ve already warned you about how difficult it can be to get a student loan discharged. Unfortunately, part of what makes it tough is that for most discharges, the ultimate authority on the matter is the holder of your loan. The loan holder has the final power to say yes or no to your request for a discharge and you don’t have the right to appeal the decision to the Department of Education, except in two instances: with false certification and forged signature discharges on FFEL and direct student loans. If your claim for a discharge for these types of loans is rejected, you can take your case to the department and ask officials there to review your denial. Other than that, your best bet in handling a rejected application, if you truly feel you have a valid and worthy claim, is to be persistent in your pursuit of a discharge and to provide as much documentation to your lender as possible in support of your case. This may mean making multiple financial disclosures about your personal situation, explaining your argument time and time again to different people at your lender’s office, or writing letters to supervisors or an ombudsman within a bank or lending institution. Since the ultimate decision rests with the lender, that’s the place you have to target your efforts. You should also try to find people who’ve been successful in getting the type of discharge you’re seeking. Ask them for tips and tricks they learned along the way. That firsthand advice from someone who’s been through what you have—and received a hard-fought discharge—could be just the prescription you need to turn a rejection into an approval. For more information on paying off your student loans, check out my book Zero Debt for College Grads: From Student Loans to Financial Freedom. Get the book now at Amazon.com.